With the downturn in economics, hitting harder than ever before, We all need to be prepared for some pretty severe economic pain – similar or worse to that experienced in the GFC in 2008. Job losses – almost definitely. In fact, where the phrase ‘Job Security' is almost laughable in today's current economic scenario. I strongly suggest and advocate for starting your own business ‘ on the side' and plugging into it – to learn some additional skills. Genuine SideHustle kind of businesses, where you can have something of your own to sell – and get the skills of marketing, online campaigns and management going for you sooner, rather than later. You can create your own ‘thing' to sell, of course. Build apps, or have some prototype created for your ‘widget' in China. But for most people that comes with significant costs, lead time and risks. My preference is to tap into something that is already working, and where, for a minimum investment, I can purchase a license to resell – and build my own business from there. As the owner of a software company – I know the costs involved of starting from scratch and creating. To get anything GOOD you need to spend thousands, and more likely – even tens of thousands or six figures to get a project to market. Something like REPWARN, which is Reputation management software – has cost us over $250,000 to build over 3 years – so is definitely NOT for the feint hearted. It's because of that, and my love for Entrepreneurs that we offer very limited resellers licenses of Repwarn – where someone can pay us a nominal fee to be licensed to onsell our Repwarn software to businesses, and can develop for themselves a significant income – even if they are starting it out as a side hustle. If You'd Like to check it out – follow these steps. No matter what you choose – the reality is, that you need to be in a position, where you can put your head down and create an income for yourself. Because that is a terrible feeling. Starting something of your own, and building that to where you are in control is the best way to make sure you are as prepared as you can be. When you are faced with the above scenario – if you have something else already in place, you can simply say ‘ok – time to go head down' and start hustling for business on your own terms. 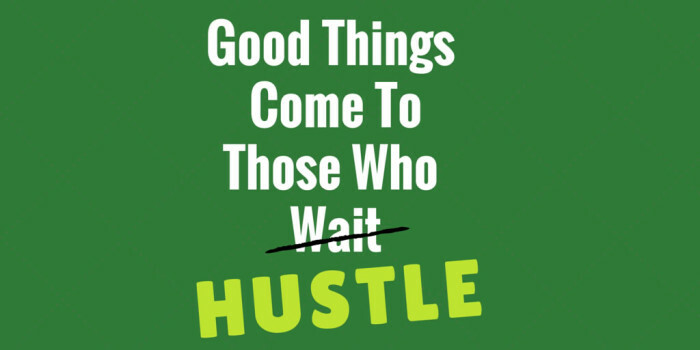 Don't hesitate – make sure you are building SOMETHING as a side hustle.